We’ve been busy delivering our regional workshop series over the past few weeks. So far we have visited Ballarat, Geelong and Bendigo reaching almost 100 participants from Local Government, Councils and Water Corporations. 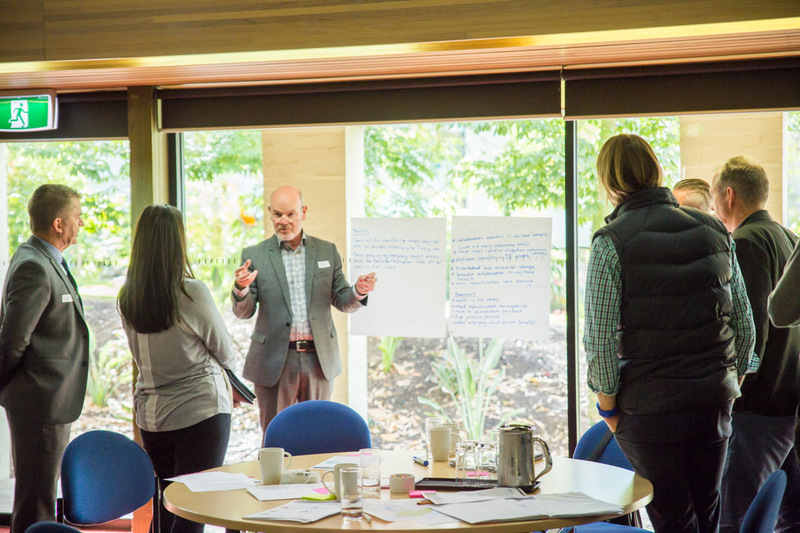 Our focus was on how people from different disciplinary backgrounds and organisations can come together to collaboratively deliver greater community benefits through an integrated water management approach to planning and delivery. A big thank you to our facilitator Ross Allen who has worked tirelessly to prepare for these workshops and has helped connect our diverse audiences in a meaningful way. Welcome to Country at our Geelong and Ballarat sessions.We were fortunate to be joined by the traditional owners - the Wadawurrung Community with a moving talk about what water means to aboriginal peoples and has meant for thousands of years. 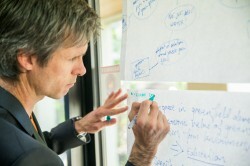 World cafe discussions with experts led to many lightbulb moments for participants. Here's one quote from the discussions, "In our work we prevent all types of diseases but we don't know the value of this yet." Coalitions: build formal and informal coalitions as a means of supporting and enabling inter-organisational collaboration for integrated water planning and management. Engagement: encouraging engaged communities through a community-centred approach to defining planning objectives implementing organisational strategies. Finance: early establishment of cost allocation framework for strategies and initiatives. Planning: developing a shared understanding of the framing context (planning rules) and the strategic planning and statutory planning mechanisms for aligning urban planning, urban design and water planning initiatives and outcomes. Influence: developing collaborative, compelling, evidence-informed business cases as a basis for engaging with and influencing community, business and political stakeholders. We are planning to roll out this workshop series in even more locations in regional Victoria later in the year. 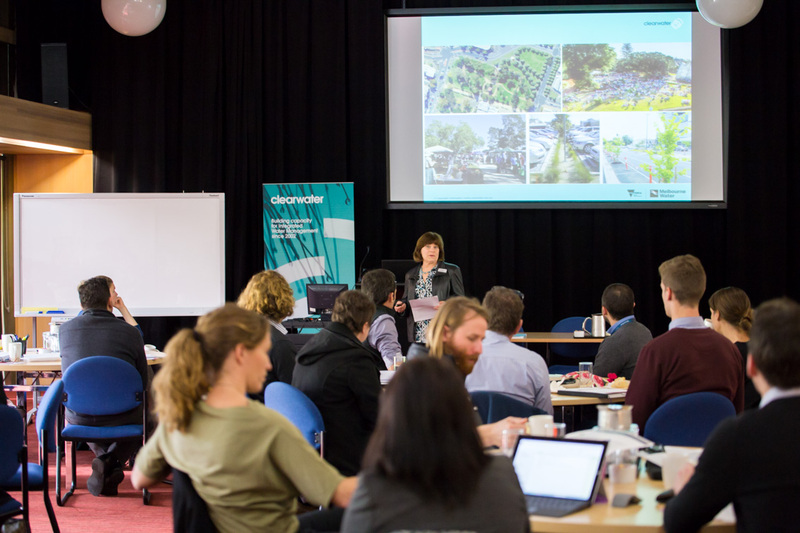 There will also be a range of training sessions available on topics including preparing for climate adapted cities, writing IWM business cases and introduction to WSUD. We've been working on putting together some online and printed resources to support you with IWM. A range of case studies are now available. Stay tuned for the five printed engagement resources and numerous water specific case studies that will be available over the coming weeks.